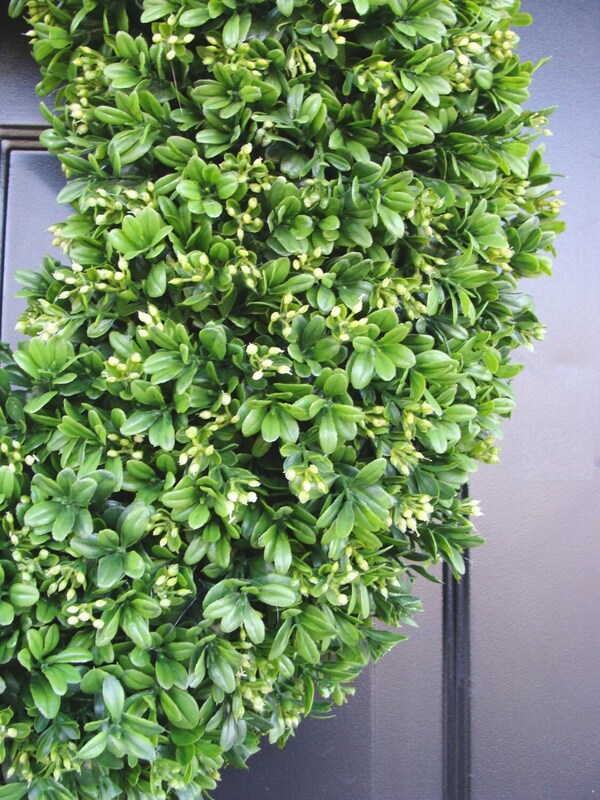 This boxwood wreath measures 24 inches in diameter and 5-6 inches deep. It is created on a 20 inch grapevine wreath. 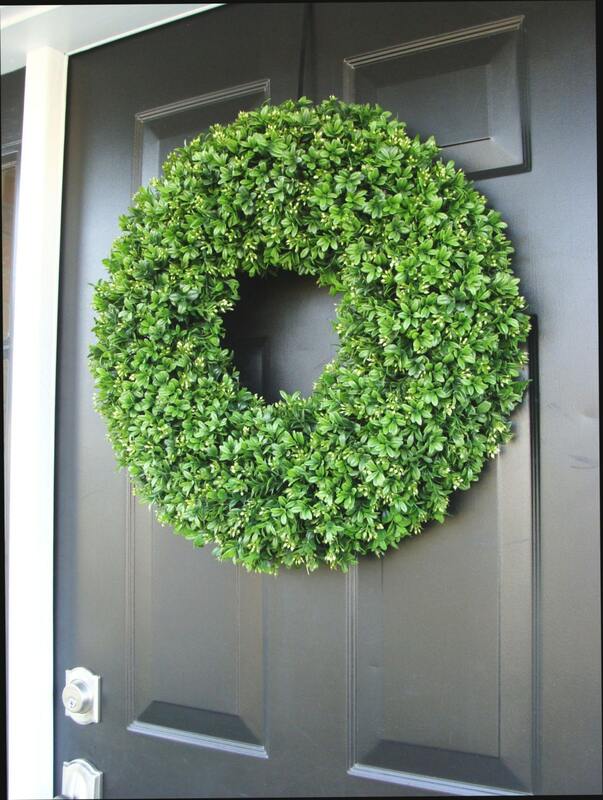 Beautiful, well-made wreath. It looks great on my front door. Thanks! 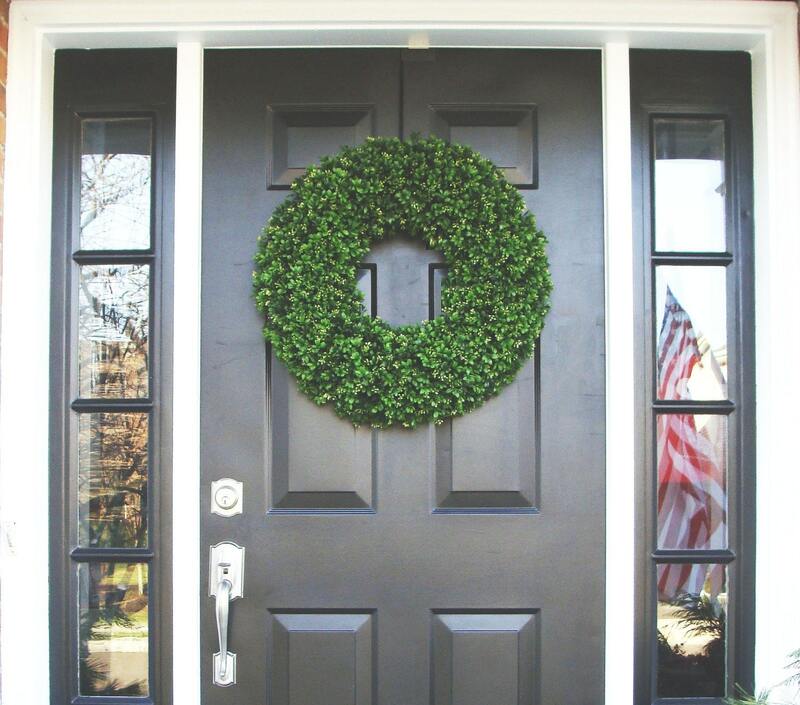 Absolutely love the wreath! Excellent quality! 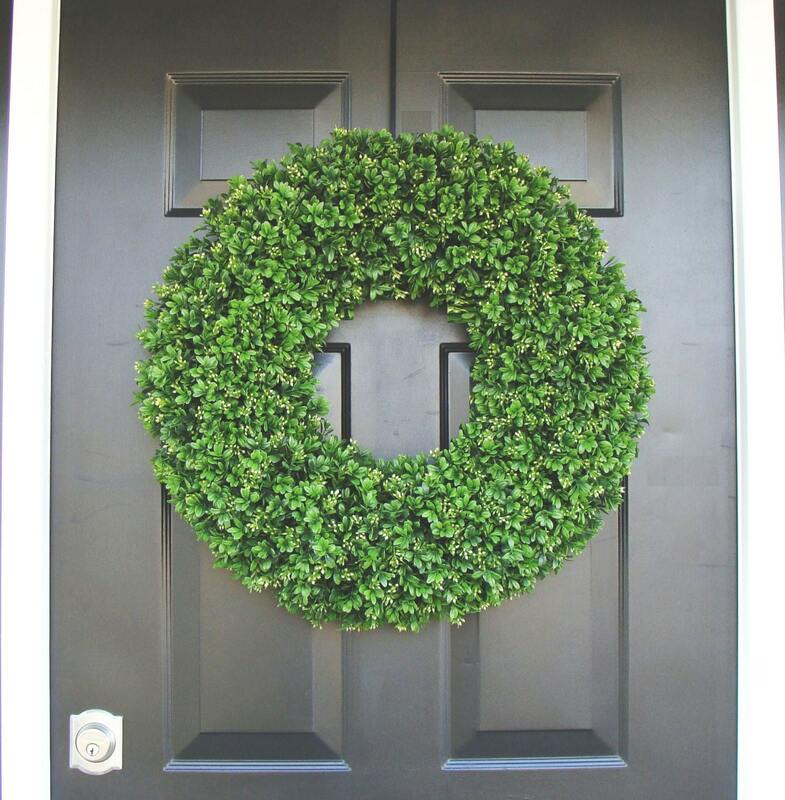 My only issue was my glass screen door does not completely close because of the fullness of the wreath. I don’t mind and am completely happy with the purchase. Thanks Again! Wreath came just as expected! 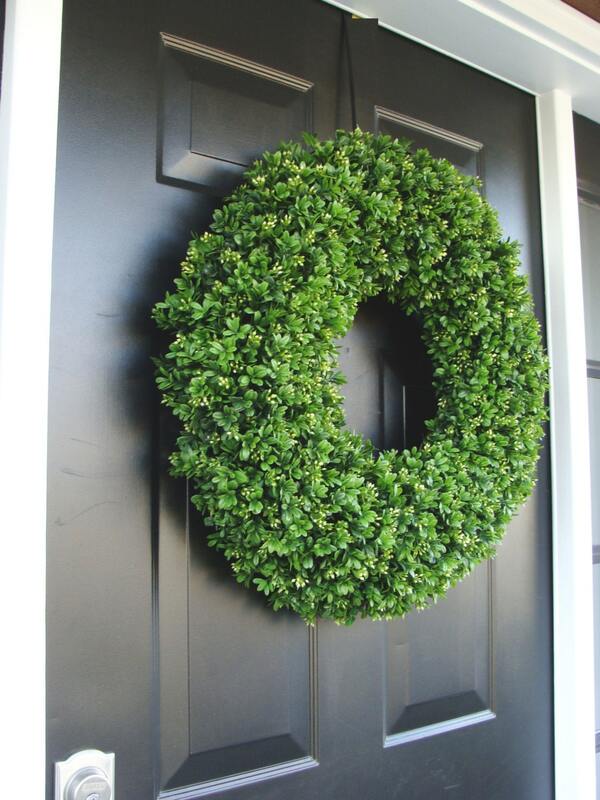 This wreath is sooo pretty! I added lights so I can have some extra lighting at night. But it's gorgeous without it as well! I'm kind of surprised at how well it's made. Very sturdy and has a bit of weight to it. You can tell a lot of time and love was put into making this wreath. Thanks so much! I love it!!! So well-made and beautiful! Many thanks!